The CXO chair offers a refreshingly cool look that will enhance any office environment. 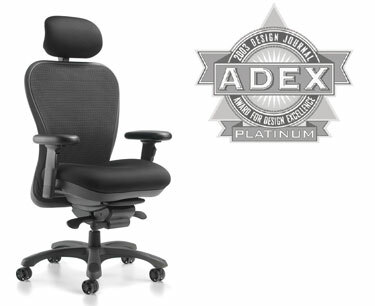 The simplicity of design and function makes this ergonomic chair an effective performer, providing "Extreme Comfort". Quite simply, the CXO series of chairs is a seating solution that provides awe-inspiring comfort and support that can always be counted on. You can choose from a variety of options, including polished aluminum highlights, seat and headrest colors. No matter which version or option you select, you can feel confident you’re choosing comfort.